The American public is skeptical about giving up control of their cars’ steering wheels. Despite the enthusiasm with which autonomous vehicles (AV) are being developed by auto manufacturers and technology companies, recent polls, including this one, showed that few drivers are interested in giving up control of their cars despite the potential safety and time-saving benefits. And although there’s a long way to go (about 25 to 30 years) before the AV future takes hold, it’s not too early for auto insurers to think about how self-driving cars will affect them. Haden Kirkpatrick, Head of Innovation & Strategy at Esurance, likens the advent of driverless cars to the beginning of the era of the horseless carriage in the 1890s. Since the first auto policy was sold in 1898, car insurance has evolved from simple handwritten contracts to the high-tech global industry that it is today. And just as the transition to “horseless” spurred great changes in the early 20th century, the transition to “driverless” will likely mean big changes once again. 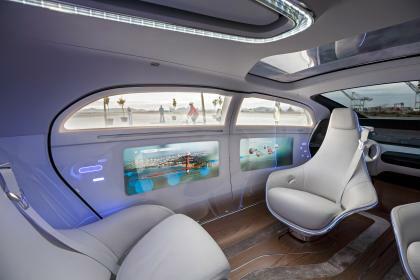 This time, instead of creating the need for more personal coverage, the move to AV is set to drive the need for more commercial insurance as car manufacturers will assume much of the risk for this new tech. What we do know is that technology companies and auto manufacturers (OEMs) are capturing reams of data all the time, and that data can be used for actuarial models. Insurers also will need to form partnerships with the winners in the AV space. Where does AV commercial liability responsibility lie? The terms liability and responsibility begin to break down when there are multiple parties involved, said Kirkpatrick. “When fault is divided between consumer, manufacturer, [and the] software maker, – in the short term there is a mixed environment.” Managing the “ratio of responsibility” will be one of insurers’ biggest tasks. So, when does the consumer exit the ratio of responsibility? “One scenario is when the steering wheel is gone, the consumer’s responsibility could be gone,” said Kirkpatrick. What about the semi-autonomous cars that are on the road now? The cost benefit of driver-assist features such as adaptive cruise control is not translating into lower insurance costs. “As frequency declines, severity increases, [because of] higher parts and labor costs.” However, preventing the average fender bender involving adaptive cruise control will provide a good baseline to understand the bigger challenges and will help bridge gap in 10 to 15 years. 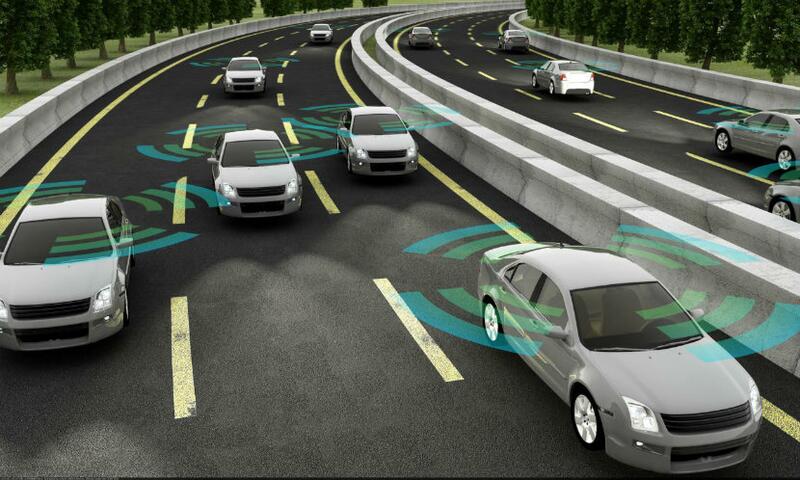 The Automated Vehicle Symposium took place in San Francisco July 9-12. I.I.I.’s Brent Carris files this report. Gaining consumer trust is essential to the success of automated vehicle (AV) deployment. It was a point stressed continuously throughout the conference. U.S. Department of Transportation (DOT) Secretary, Elaine Chao, along with many others, noted that 94 percent of auto accidents occur due to human error. AV control can drastically reduce human error-caused accidents but reaching the “0” level of accidents will be a long work in progress. Joint data sharing by public and private institutions is imperative in the transition to an AV world. Chao briefly discussed insurance, saying “Insurance frameworks are adaptable to the AV world.” Timely data sharing by auto manufacturers and other AV data collectors with insurance companies will be necessary to facilitate proper insurance coverage. Data could be used to establish: Liability in the event of an accident; accurate underwriting and pricing of insurance policies; risk mitigation and control measures. Insurance companies will have to take a proactive approach to ensure timely data sharing and develop consumer perceptions on safety, liability, and coverage for AVs. In a white paper issued to coincide with the event, the Travelers Institute outlined its views on how autonomous vehicles will change the personal and commercial auto insurance markets. The DOT announced the third iteration of its Automated Vehicles policy document is slated for release by the end of 2018. The Automated Driving System 2.0: A Vision for Safety was downloaded over 125,000 times since its release in 2017. The 3.0 version will focus on AV development across all modes of transportation – passenger vehicles, trucks, rail, and maritime. Another important topic was preparing U.S. workers and employers for the automated vehicle future. Lessons from past transitions show that while initial job displacement may occur, full employment eventually returns. A Securing America’s Future Energy (SAFE) study estimated that the advent of AVs are projected to increase the unemployment rate to a small degree in the 2030s and to a somewhat larger degree in the late 2040s, with a peak, temporary addition to unemployment rates of 0.06–0.13 percentage points. However, an estimated $800 billion will eventually be gained in annual societal benefits due to accident reduction (economic impact and quality of life improvements), congestion mitigation, reduced oil consumption and from the value of time gained from AV. Many speakers stressed that planning for an AV future should start now. Self-Driving Cars â€“ With or Without You? We’re reading that self-driving cars are no longer a thing of the future, but it’s in the subhead of this Time article: how long will it be before your car no longer needs you? where the heart of the story lies. Jason H. Harper writes of how he earned one of the first new driverless motor licenses — technically known as an “autonomous vehicle testing” permit — from the California DMV. Harper says the training was far more difficult and involved than a regular driving test. However, average buyers will not need such training. Because rollout of this technology is gradual. Audi’s program for example would allow the car to self-drive in stop-and-go highway traffic, but when traffic clears the driver takes the wheel again. It’s at the very end of the article that a voice from academia reminds us that this approach may be no bad thing as both technology and driver acceptance need time to mature. More on auto insurance here.